I have had a great week and I hope you are all having a good week too. 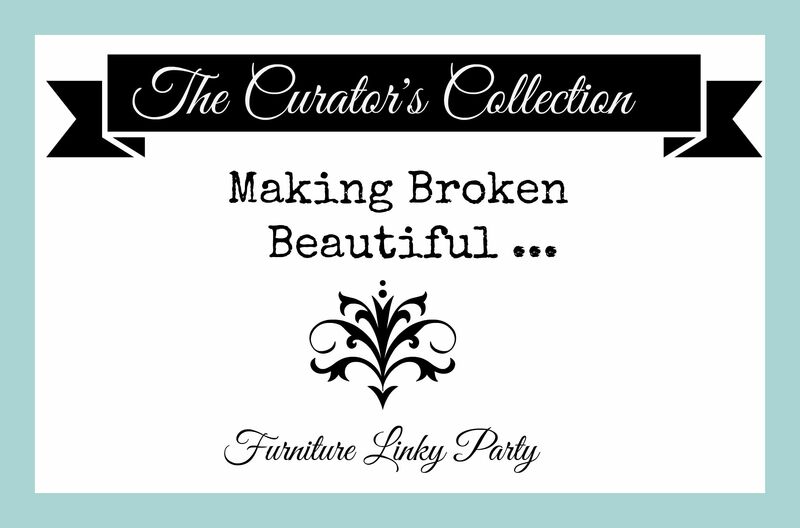 Each week that I host this party I am amazed by all the talent linking up. This week has been the best week for unique and original pieces! 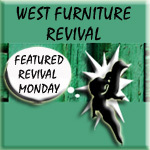 If your piece was featured this week (or previously) Please grab a button from the sidebar! I was blown away with how Behind The Big Green Door made an ugly old school desk into something pretty. Really … who would’ve thunk it anyways? … um, yah … her! I love the way this girl thinks! 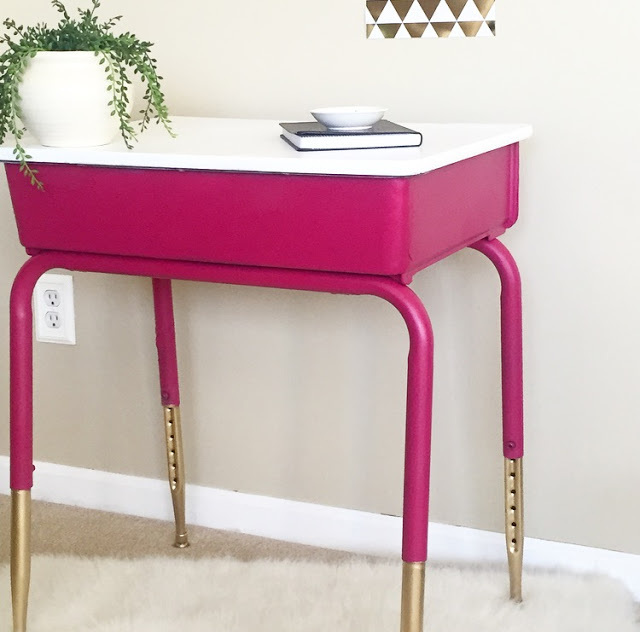 You need to check out the before of this desk! I might have remained seated in mine if it looked like this when I went to school! 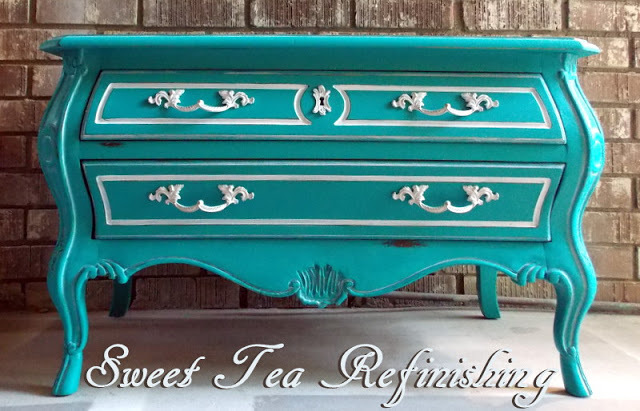 Thea from Sweet Tea Refinishing shared this painted Bombay Chest using General Finishes Paint. I love the colors she chose for it as well as the sweet details she added inside and out! I have not tried out this brand of paint yet but have heard many good things about it that make me want to give it a try. Well done! D.D.’s Cottage and Design made the right choice when she made over this sweet table with Boxwood Green Milk Paint. I love chippy patina so this curvy little chippy table made my heart sing when I saw it! Love, love, love it! 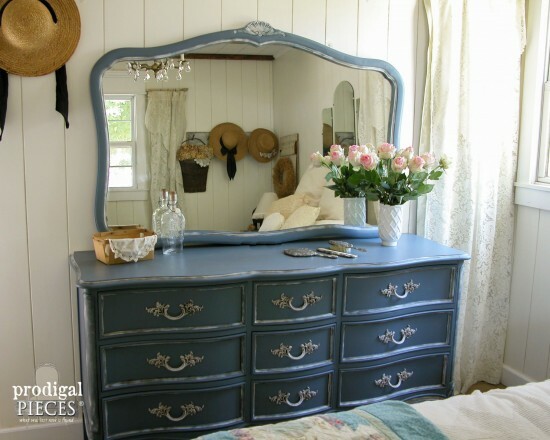 Larissa from Prodigal Pieces shared this beautiful bedroom set that she madeover. What impressed me the most was that she made her own wax to finish it! 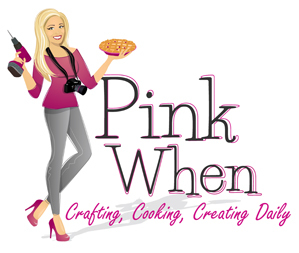 This lady is amazing and I love her work! Thank you to all who join in and inspire us each week! Let’s get straight to inspiring shall we? Feel free to link up as many of your previous or present projects as you would like! Wow!! Really fun features this week, Terry!! Thanks for hosting! :D p.s. General Finishes paint is awesome — more like a latex than milk paint — no brush strokes — it’s the bomb! Ooh…oodles of beauties to see! 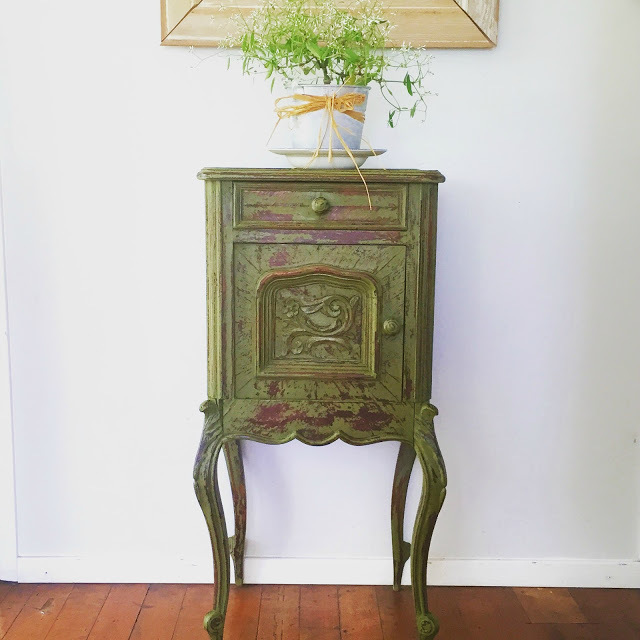 Thank you for featuring my French inspired dresser. It was a fun project! You are so welcome Larissa! Thank you for sharing your work! What a fun party, thanks for inviting me! Can’t wait to check out all the inspiration! Thank you Meredith! I hope you will stop by every week, you are always welcome! Terry, thanks so much for hosting this link party!! Have a great weekend!! Thank you for joining in! Have a great week! Great examples as usual. Talented people roam this earth!! Thank you! Makes me realize I have sooooo much to learn from others! …STILL waiting for your link up ;) hee hee… I hope all is well with you!